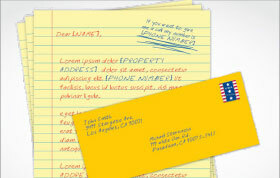 We offer a straightforward approach to Direct Mail Services and Marketing Services. 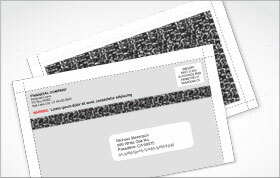 We print envelopes & letters that do not look like Junk mail. 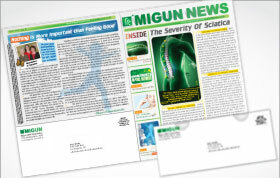 We strive to create effective & personalized mail pieces that receive high rate of response. 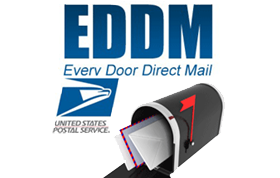 Our goal is to make your Direct Mail Marketing easy & convenient. Our mailing campaigns are designed with over 11 years of experience in targeted direct mail marketing so that you can achieve the best "Return on Investment". Be sure to contact our Direct Mail Services department for more information. We do not operate as an assembly-line print shop or use a website driven automated system. We offer a FREE One on One telephone consultation to discuss your marketing needs and to provide you with realistic expectations from your direct mail campaign. We strive for excellence in customer support to achieve your long-term objectives. We don't shuffle you from one account representative to another. You are assigned to one of our experienced associates for the term of your business. We specialize in Direct Mail Services for small to mid-size companies that have limited time and capital to invest into marketing projects. 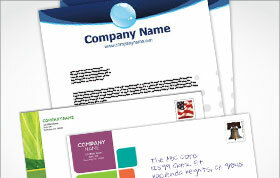 Our clients offer "professional services" through targeted direct mail marketing. We recognize the challenges that small and mid-size companies face with in-house printing & mailing projects. 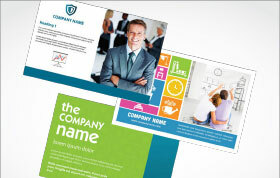 We offer a complete one-stop printing & mailing solutions. Our long-term clientele base has been established by supplying our customers with a marketing service that is affordable and consistent. "Our Success Depends on Your Success". If you would like more information regarding our Direct Mail Services, please visit our contact page or simply call our Direct Mail Services department at 866-558-6365. In today's market, a significant amount of "junk mail" is delivered daily, and because most people have developed an eye to spot junk mail, it's usually thrown away without ever being read. Over the past eleven years, we have learned that personalized envelopes and letters are not discarded upon arrival like most junk mail. People tend to open and read personalized letters. If the letters are being thrown away, then so is your money! Increase your ROI by getting the right offer to the right person. Get a higher rate of return by spending your marketing dollars on what works. Direct Mail Services Keeping things "personalized" is the key to our direct mail marketing achievements and to our client's continued growth and success. We offer direct mail marketing solutions that are unique to the industry by keeping your marketing campaign on a personal level. Everyone knows that " first impressions are lasting impressions"; therefore, we recognize that it is vital to the success of your direct mail efforts that your potential clients feel understood and not threatened, and that your services are viewed as affordable, reliable and legitimate from the minute that your mail piece is received by your potential customer. You can achieve the best results from your direct mail campaign through the use of mail merged letters and envelopes and other custom-made techniques that we have developed over the past 11 years.